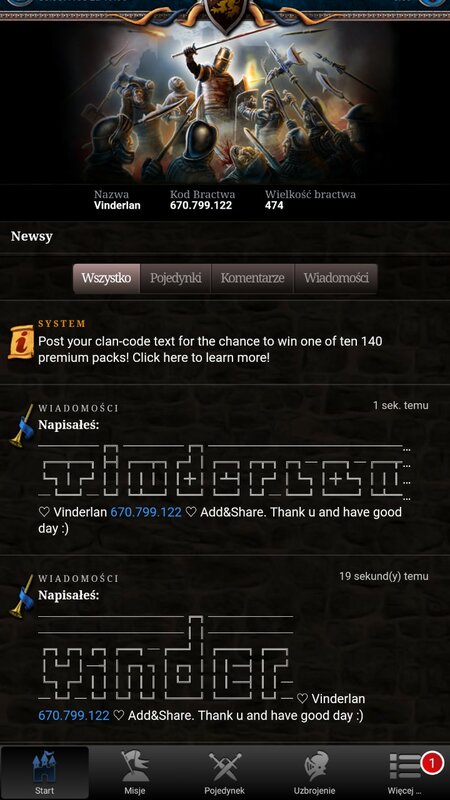 (11-12-2018, 02:17 PM)Santorayo Wrote: Do you have a cool clan-code image or text you use for sharing? Leave a comment with a screenshot of it and be one of 10 participants to win 140 premium (Uranium, Rubies, Bloodstones etc.) in a Star Game game of your choice.